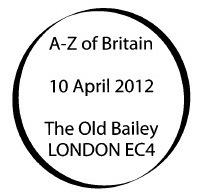 A - Z of the United Kingdom - Part 2 : 10 April 2012 - includes EUROPA/PostEurop issue. 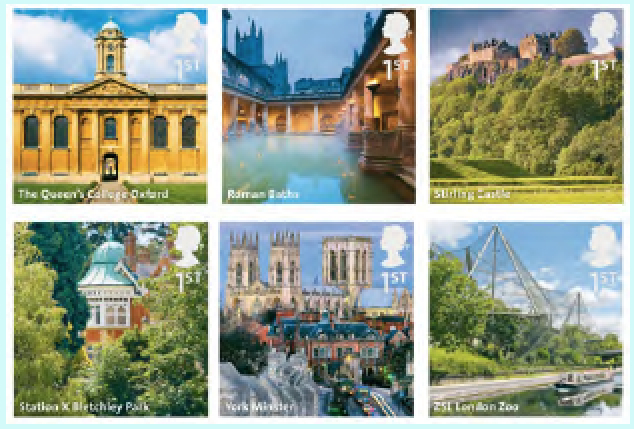 A 26-stamp series depicting significant landmarks around the United Kingdom, alphabetically. When this was first revealed as part of the 2011 programme it sounded like a good idea especially if it was issued as four sets of 6/7 or six sets of 4/5. 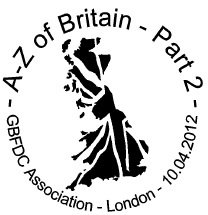 However, Royal Mail seem to have realised that a schedule like that could not be accommodated alongside the regular stamp programme adn still reach 'Z' by the time the Olympics visitors arrived, so the 26 1st class stamps are being issued in two parts, with a set of 12 (A-L) on 13 October 2011 and a further 14 stamps (M-Z) on 10 April 2012. For each letter of the alphabet an iconic landmark of the UK is assigned, ranging from ancient to modern and from spiritual to spectacular; but each has an essential presence in the nation’s fabric. The stamps will be printed in two sheets, each having 6 columns, which will enable multiples of the same design/location to be purchased without the expensive of buying the whole set/sheet. 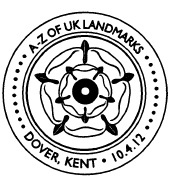 The stamp policy team extensively researched UK gazetteers and drew up the list of potential subjects which were supplied to the designer. Using a mixture of specially commissioned and library photography the final line up was assembled and agreed taking into consideration the need to represent each of the four countries of the UK. In the caption table, locations in Scotland have blue backgrounds, Ireland green, Wales red, and England white. One of Britain’s greatest municipal buildings Manchester Town Hall is a Victorian-era, Neo-gothic municipal building. The building functions as the ceremonial headquarters of Manchester City Council and houses a number of local government departments. Completed by architect Alfred Waterhouse in 1877, the building features imposing murals by the artist Ford Madox Brown depicting important events in the history of the city. The Town Hall was rated by English Heritage as a Grade I listed building in 1952 and the Town Hall Extension, completed in 1938, was Grade II listed in 1974. The building of Manchester Town Hall (1868 - 77) was undertaken because the neo-classical Town Hall in King Street had become too small to house the expanding business of the Council. A competition was held and won by Alfred Waterhouse (1830 - 1905), mainly for his ingenious planning. The site was an irregular triangle on which had to be fitted a large hall, a suite of reception rooms and living quarters for the Lord Mayor, as well as offices for all Corporation departments, and a chamber for Council meetings. The exterior is dominated by the 280-foot high clock tower. There are 24 bells in the tower; the Great Hour Bell weighs over 8 tons and is called Great Abel, named after Abel Heywood, Mayor at the time of the official opening. ... is a famous tower house near Warrenpoint in Northern Ireland, located on the County Down bank of the Clanrye River, which enters Carlingford Lough a mile to the south. Narrow Water Castle was given into state care in 1956 and is one of the finest 16th century buildings in Ireland. Narrow Water Castle tower house and bawn is a state care historic monument in the townland of Narrow Water, in Newry and Mourne District Council district. Built for military purposes during the 1560s, Narrow Water Castle is a typical example of the tower houses erected throughout Ireland from the 14th until the early 17th century. This form of building, normally rectangular in plan and three or more storeys high, comprised a series of superimposed chambers, with stairs, closets and latrines skilfully contrived within the walls (which are 1.5 metres or five feet thick in places) or sometimes contained in projecting angle turrets. The Central Criminal Court in England, commonly known as the Old Bailey from the street in which it stands, is a court building in central London. The present building dates from 1902, but it was officially opened on 27 February 1907. It was designed by E. W. Mountford and built on the site of the infamous Newgate Prison, which was demolished to allow the court buildings to be constructed. Above the main entrance is inscribed the admonition, ‘Defend the Children of the Poor & Punish the Wrongdoer’. King Edward VII opened the courthouse. On the dome above the court stands a bronze statue of Lady Justice, executed by British sculptor F. W. Pomeroy. She holds a sword in her right hand and the scales of justice in her left. The statue is popularly supposed to show blind Justice; however, the figure is not blindfolded. The courthouse brochures explain that this is because Lady Justice was originally not blindfolded, and because her ‘maidenly form’ is supposed to guarantee her impartiality, which renders the blindfold redundant. ... is a popular tourist village in Gwynedd, North Wales. It was designed and built by Sir Clough Williams-Ellis between 1925 and 1975 in the style of an Italian village and is now owned by a charitable trust and has always been run as a hotel, which uses the majority of the buildings as hotel rooms or self-catering cottages, together with shops, a cafe, tearoom, and restaurant. Portmeirion has served as the location for numerous films and television shows, most famously serving as The Village in the 1960s television show The Prisoner. "PortmeiriCon" is the name given to ‘Six of One's’ regular Prisoner Conventions in the hotel village of Portmeirion. 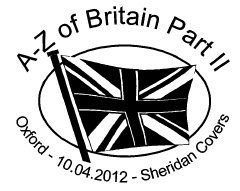 The society has held these events annually since 1977. ... founded 1341, is one of the constituent colleges of the University of Oxford. Queen’s is centrally situated on the high street, and is renowned for its 18th century architecture. The college was founded during the 14th century by Robert de Eglesfield (d’Eglesfield), chaplain to Queen Philippa of Hainault (the wife of King Edward III of England); hence its name. Whilst the name of Queens’ College, Cambridge is plural, the Oxford college is singular, and is written with the definite article. The frontage was designed by Nicholas Hawksmoor, part of a substantial rebuilding in the 18th century during which the library was built. The medieval foundations, however, remain beneath the current 18th century structure. Queen’s is notable for the beautifully clean, classical lines of its buildings, unique among the largely gothic constructions that predominate amongst Oxford colleges. ... complex is a site of historical interest in the city of Bath. The house is a well-preserved Roman site for public bathing. The Roman Baths themselves are below the modern street level. There are four main features: the Sacred Spring, the Roman Temple, the Roman Bath House and the Museum holding finds from Roman Bath. The buildings above street level date from the 19th century. The Baths are a major tourist attraction and, together with the Grand Pump Room, receive more than one million visitors a year, with 1,037,518 people during 2009. Visitors can see the Baths and Museum but cannot enter the water. Water from the springs is sold in The Pump Rooms. The City of Bath was inscribed as a World Heritage Site 25 years ago in 1987. The entire city is covered by the status, and the former municipal city boundary forms the site boundary. Bath is one of only a handful of cities with World Heritage Site status. ... is one of the largest and most important castles, both historically and architecturally, in Scotland. The castle sits atop Castle Hill, an intrusive crag, which forms part of the Stirling Sill geological formation. It is surrounded on three sides by steep cliffs, giving it a strong defensive position. Its strategic location, guarding what was, until the 1890s, the farthest downstream crossing of the River Forth, has made it an important fortifi cation from the earliest times. Most of the principal buildings of the castle date from the 15th and 16th centuries. A few structures of the 14th century remain, while the outer defences fronting the town date from the early 18th century. Several Scottish Kings and Queens have been crowned at Stirling, including Mary, Queen of Scots, in 1543. There have been at least eight sieges of Stirling Castle, including several during the Wars of Scottish Independence, with the last being in 1746, when Bonnie Prince Charlie unsuccessfully tried to take the castle. Stirling Castle is a Scheduled Ancient Monument, and is now a tourist attraction managed by Historic Scotland. 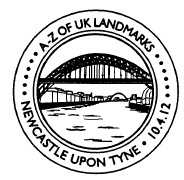 ... is a through arch bridge over the River Tyne in North East England, linking Newcastle upon Tyne and Gateshead. It was designed by the engineering firm Mott, Hay and Anderson, who later designed the Forth Road Bridge, and was built by Dorma Long and Co. of Middlesbrough. At the time of its construction it was the world’s longest single span bridge. The bridge was officially opened on 10 October 1928 by King George V and has since become a defining symbol of Tyneside. It currently stands as the tenth tallest structure in the city. ... sits beside Loch Ness in Scotland along the A82 road, between Fort William and Inverness. It is close to the village of Drumnadrochit. Though extensively ruined, it was in its day one of the largest strongholds of medieval Scotland, and remains an impressive structure, splendidly situated on a headland overlooking Loch Ness. It is also near this castle that the majority of Nessie (Loch Ness Monster) sightings occur. It is not known precisely when the castle was built, but records show the existence of a castle on this site from the early 13th century. It had a colourful history through to the 17th century until it was largely destroyed in 1692 by Williamite troops who had been holding the castle against Jacobite forces. The intention was to ensure that the castle could not become a Jacobite stronghold, an intention that was fully achieved as the castle was never repaired and remained as a ruin. Subsequent plundering of the stonework for re-use by locals, and natural decay, further reduced the ruins. ... (often abbreviated as the V&A), set in the Brompton district of The Royal Borough of Kensington and Chelsea, London, is the world’s largest museum of decorative arts and design, housing a permanent collection of over 4.5 million objects. It was founded in 1852 and originally known as the South Kensington Museum. It changed its name in 1899, when it was named after Queen Victoria and Prince Albert, and has since grown to cover 12.5 acres (51,000 m2) and 145 galleries. 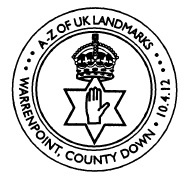 This stamp has the EUROPA logo at the top left. The laying of the foundation stone to the left of the main entrance of the Aston Webb building, on 17 May 1899, was the last official public appearance by Queen Victoria. It was during this ceremony that the change of name from the South Kensington Museum to the Victoria and Albert Museum was made public. ... are part of the North Downs formation. The cliff face, which reaches up to 107 metres (351ft), owes its striking façade to its composition of chalk accentuated by streaks of black flint. The cliffs spread east and west from the town of Dover in the county of Kent, an ancient and still important English port. The cliffs have great symbolic value for Britain because they face towards Continental Europe across the narrowest part of the English Channel, where invasions have historically threatened and against which the cliffs form a symbolic guard. 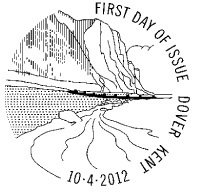 Because crossing at Dover was the primary route to the continent before air travel, the white line of cliffs also formed the first or last sight of the UK for travellers. Station X, a radio intercept station, is located in Bletchley Park, an estate located in the town of Bletchley, in Buckinghamshire, where during World War II, 12,000 people worked in total secrecy. It was the site of the United Kingdom's main decryption establishment, the Government Code and Cypher School (GC&CS), where cphers and codes of several Axis countries were decrypted, most importantly the ciphers generated by the German Enigma and Lorenz machines. The high-level intelligence produced at Bletchley Park codenamed Ultra, provided crucial assistance to the Allied war effort. Sir Harry Hinsley, a Bletchley veteran and the official historian of British Intelligence in World War II, said that Ultra shortened the war by two to four years and that the outcome of the war would have been uncertain without it. Block C, a building at Bletchley Park used to break the Enigma Code, which contributed to the allied victory in the Second World War, has been given Grade II listed status. Post Office engineers played a vital part in the code breaking activity at Bletchley Park during the war, from maintaining vital communications such as teleprinters to building code breaking devices, including work on Colossus computers, the world’s first programmable computer, for which we can thank Tommy Flowers, the Post Office engineer for his vital work. So secret was the work that after the war Churchill ordered the computers to be dismantled and destroyed. Alan Turing devised a number of techniques for breaking German ciphers, including the method of the bombe, an electromechanical machine that could find settings for the Enigma machine. The bombe was featured in the February Britons of Distinction issue, to mark Turing’s centenary. a Perpendicular Gothic choir and east end and Early English north and south transepts. The nave contains the West Window, constructed in 1338, and over the Lady Chapel in the east end is the Great East Window (finished in 1408), the largest expanse of medieval stained glass in the world. In the north transept is the Five Sisters Window, each lancet being over 16 metres (52 ft) high. The south transept contains a famous rose window. of animals, with 16,802 individuals, making it one of the largest collections in the United Kingdom. It is managed under the aegis of the Zoological Society of London (established in 1826), and is situated at the northern edge of Regent's Park, on the boundary line between City of Westminster and Camden (the Regent's Canal runs through it). As well as being the first scientific zoo, ZSL London Zoo also opened the first Reptile house (1849), first public Aquarium (1853), first insect house (1881) and the first children's zoo (1938). The stamp shows the Snowdon Aviary, built between 1962 and 1964 by Tony Armstrong-Jones (Lord Snowdon), Cedric Price and Frank Newby. Its frame was pioneering in that it made use of aluminium, and in that it was an example of a kind of engineering that uses tension to support its structure. Composite Stamp Sheet. This sheet contains all 26 stamps in the two-part set, with pictures of the seats of government in the corner spaces. Top Left: Houses of Parliament, London; top right: Welsh Assembly building, Cardiff; lower left: Scottish Parliament building, Edinburgh; lower right: Stormont Castle, Belfast. 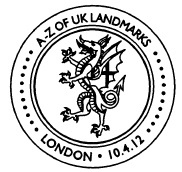 Technical details: The 35mm square stamps are designed by Robert Maude and Sarah Davies. They are printed in lithography by Cartor Security Printing, perf 14½, with all-over phosphor. The stamps are in three sheets of 6 x 5 rows, being M-R, S-X, and YZYZYZ. 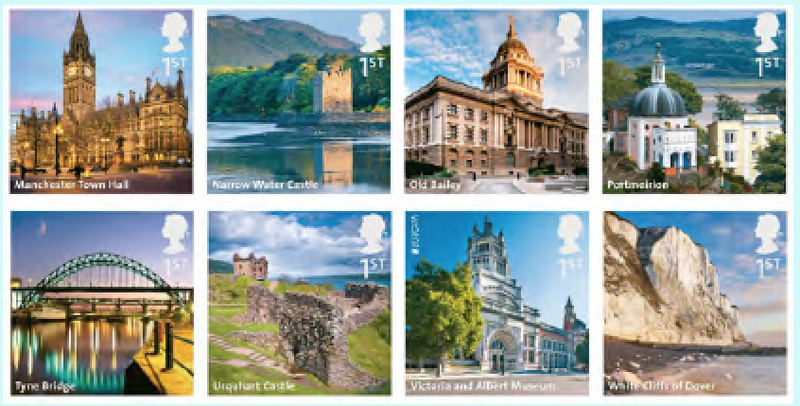 The format enables columns of 5 stamps of the same design to be purchased. 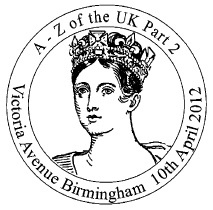 The Victoria and Albert Museum stamp is issued in conjunction with PostEurop as this year's Europa stamp. Details of the composite sheet awaited. 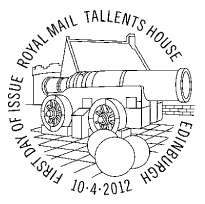 The stamp and postmark images are Copyright 2012 by Royal Mail. Set of 14 stamp cards. 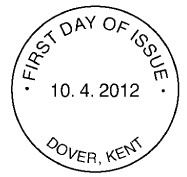 Postmarks available for the day of issue will be shown here, these may not be to scale. More postmarks may be added later. 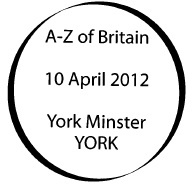 These postmarks cannot be obtained to order after 10 April. If you would like to be contacted when this page is updated please use the ChangeDetection panel alongside the stamp image; any other enquires please email us. NB: emails will usually be acknowledged in 1-2 days. If you do not receive an acknowledgement please email us from a different address (eg hotmail, gmail).